Walk among the clouds at the Grand Canyon Skywalk and enjoy of breath taking sights. When you come to visiting Las Vegas one of the things you absolutely have to do, is paying a visit to one of the Seven Natural Wonders of the World “The Grand Canyon”. This natural wonder of the world is a massive gorge located in the Nevada’s border state of Arizona, and was created over hundreds of years by the passing of the Colorado River. 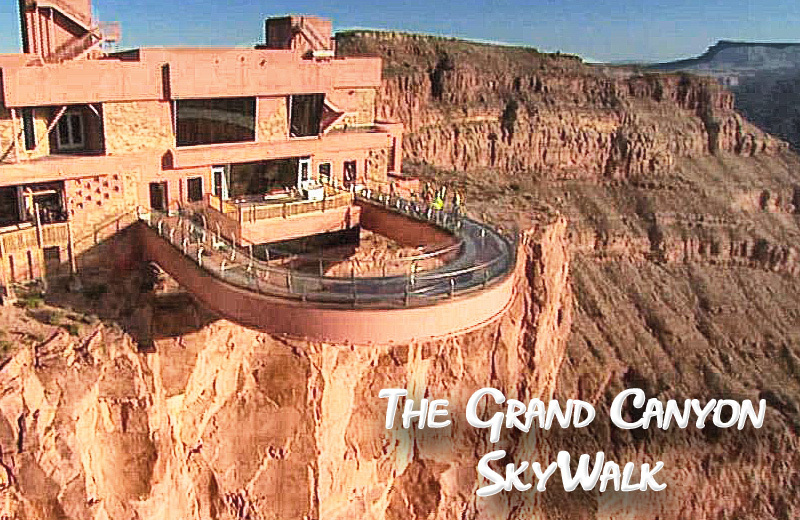 One of the best ways to experience the grand Canyon is by visiting the The Grand Canyon Skywalk. The Skywalk at the Grand Canyon is a horseshoe-shaped bridge located at Eagle Point where the natural rock formation of an Eagle is prominently in view for all to see. The Skywalk structure is strong enough to support about 71 million pounds – the equivalent of 71 fully loaded 747 airplanes, the Horseshoe structure alone is made of more than 1 million pounds of steel and 83,000 pounds of glass allowing visitors from all over the world to walk beyond the canyon walls at Grand Canyon West, suspending them 4,000 feet above the riverbed with an elevation of 4,770 ft (1,450 m) it provides an unparalleled view of this natural wonder. Guests can purchase hot lunches, cold drinks, and snacks on the facilities. The Skywalk is active and open to the public year-round, and it’s been hosting approximately well over 2 million visitors since it opened in March 2007. Personal belongings, including cameras are not allowed on the bridge. to protect from dropping any items into the Canyon. This is a 120-mile (190 km) drive from Las Vegas strip. Getting to the Skywalk can be made from Las Vegas, Nevada in the north or Kingman, Arizona in the south, via Highway 93. This entry was posted in Grand Canyon, nature, sightseeing and tagged Grand Canyon, Nature, Sightseeing.